My natural curly hair has suffered the most stigma. What plans do you have for your hair? When are you plaiting it- when are you straightening it and I have to apologize that I am not my hair. But the thing is- I love my hair it gives me so much freedom. Who defines beautiful? This is a question that I grapple with every other single day. Is it Hollywood, is it parents, is it culture, is it boyfriends, is it the schools that we attend, is it the number of Facebook likes whenever we put a picture of self? My mouth was open all the time as I watched Chris rock’s Good hair documentary, some black women in the States spend up to a staggering 3500 US dollars to purchase a hairpiece just to look beautiful, the more human it is, the better. I watch with agony, the programme Botched on E. The extent at which people go to look beautiful and youthful. In Hollywood needles are the new normal. To carry the point home, Chris Rock went around selling African hair- nobody was willing to buy it- they said that it was bad hair. Who defines beautiful? That beauty lies in the eyes of the be-holder cliché? What happens when the beholder has changed their mind? “Once upon a time there lived a Good Fairy whose daily thoughts were of pretty little boys and girls and of beautiful women and handsome men and of how she might make beautiful those unfortunate ones whom nature had not given long, wavy hair and a smooth, lovely complexion” (Johnson, 338). 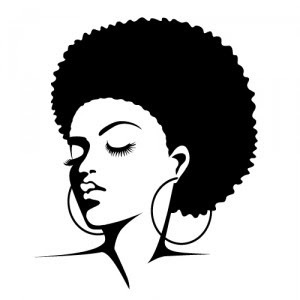 I think it is time to take away this right from the beholder and whatever we choose whether it is an Indian woman’s hair that makes us beautiful, or natural curly hair l want to let beautiful flow from within. You know, this goes deeper than hair. It goes into society and what we define as acceptable.